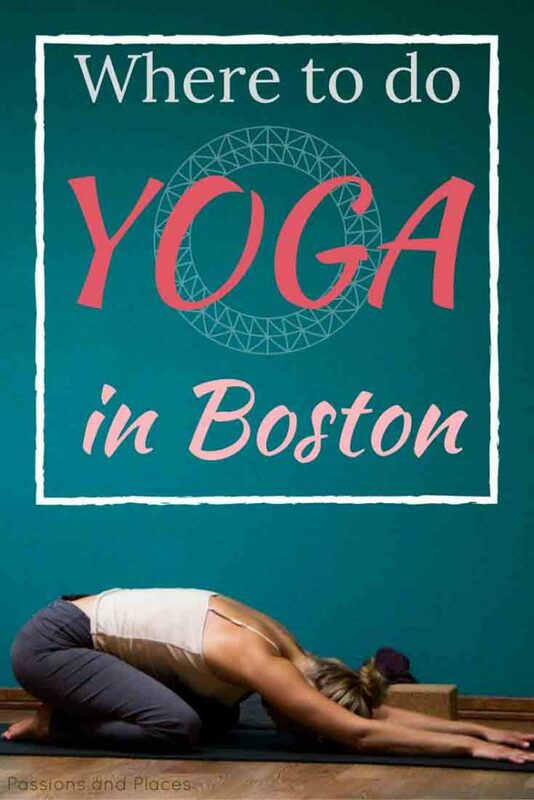 Boston is a bustling city with lots of popular hippie enclaves, so of course there are plenty of great spots to practice yoga. And with the sheer number of studios and variety of styles offered – from hot power yoga to gentle restorative, from introductory to master classes, and from traditional Iyengar and Ashtanga to hip hop yoga – there’s easily something for everyone. Over my past three years in Boston, I’ve tried a ton of different studios all around the city, and I wanted to share some of my favorites. In case you’re new to yoga, I included recommendations for beginner-friendly classes at each studio. Restorative and yin classes (and anything with words like “relax,” “gentle,” or “healing” in the title) are also suitable for first-time students, just know that they’re generally focused on stretching and relaxation and are different from what you might think of as a typical yoga class. I earned my 200-hour yoga teaching certification at Down Under earlier this year, so it’s probably no surprise I consider it the best studio in Boston. But, there are good reasons! Some truly renowned yoga instructors teach there, and all the teachers are highly trained, experienced, and dedicated (something you don’t find everywhere). Down Under also stands out because it offers Boston’s largest programs in traditional styles of yoga, with five levels of Iyengar classes and Mysore-style Ashtanga practice every day at 5:45am. 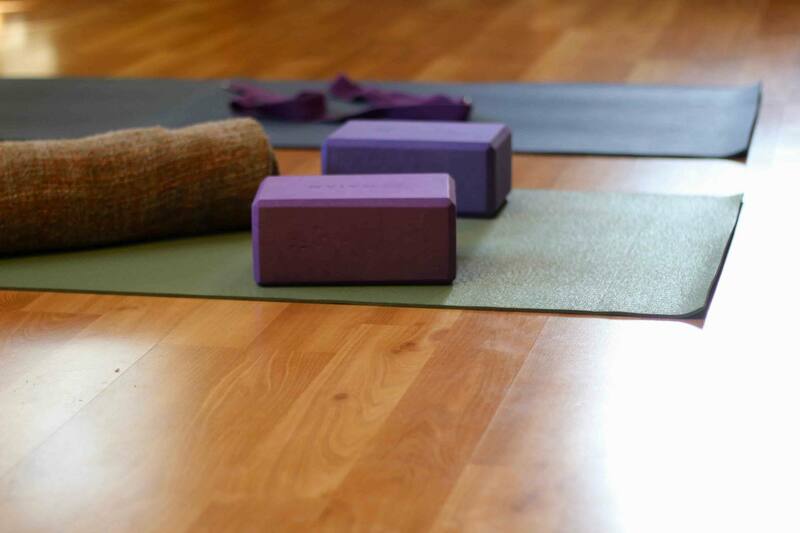 The studio is also home to the Boston Ayurveda School, which hosts workshops, trainings, and Ayurvedic cleanses. If that’s not what you’re looking for (and for most people, it’s probably not), Down Under offers a wide variety of more standard flow (heated and unheated) and restorative yoga, as well as kids yoga, pre- and post-natal yoga, and meditation classes. There are also weekly master classes for teachers and advanced students, and a busy schedule of workshops. New to yoga? Try Flow Foundations. Prices: New students – $30 for 30 days. Drop-in – $18. 10-pack – $160. Monthly unlimited – $130. Discount classes – $5. Getting there: Take the Green C line to the St. Marys stop in Brookline, and the Framingham/Worcester Purple line to the Newtonville stop in Newton (the Brookline studio is much more accessible). CCY is the only studio in Boston (that I know of) to offer Forrest yoga, and there are plenty of classes in standard Vinyasa flow and yin and restorative yoga – not to mention Urban Beatz, a heated flow class set to hip hop and house music. There’s also a wide offering of kids yoga and pre- and post-natal classes. CCY puts on frequent workshops and mini-series as well, including their signature Restful & Reiki evenings. I haven’t been to their new sister studio, Sadhana Yoga in the South End, but it has many of the same instructors and class offerings – as well as a candlelit yin class that sounds divine. KidAsana Teacher Training this weekend…filled with love, laughter, and lots of learning! New to yoga? Try FUNdamentals. Prices: New students – $30 for 30 days. Drop-in – $16. 10-pack – $130. Monthly unlimited – $110. Discount classes – $5. Getting there: Take the Green C line to the Coolidge Corner stop. Samara is one of the only studios in Boston to teach classes in Anusara-inspired yoga, and there are also frequent classes accompanied by live cello (really!). Other options include multiple levels of Vinyasa flow, alignment-based classes, and yin and restorative yoga. Samara also hosts an Introduction to Yoga series, and the first Friday evening of each month is Queer Yoga, which welcomes all genders, bodies, and levels. New to yoga? Try Hatha or Restore & Flow. Prices: New students – $25 for 2 weeks. Drop-in – $16. 10-pack – $140. Monthly unlimited – $150. Getting there: Take the Red line to the Davis stop. I first discovered JP Centre because one of Boston’s best-known instructors teaches there, and I loved her New Year’s Day workshop last year. Most of the studio’s classes are all-levels flow (heated and unheated), but there’s also yin and restorative yoga, as well as weekly classes in alignment fundamentals, yoga for runners, Anusara-inspired flow, and meditation. JP Centre has regular workshops and events, including a monthly Radically Restorative workshop (Two hours of restorative poses with multiple massage therapists providing assists? Yes, please!). I don’t know too much about the yoga teacher training program, but I’m happy to report that they offer a diversity scholarship for minority students. New to yoga? Try Fundamentals of Alignment. Prices: New students – $25 for 2 weeks. Drop-in –$16 ($10 for one-hour classes). 10-pack – $130. Monthly unlimited – $125. Discount classes: $6. Getting there: Take the Orange line to the Green St. stop. The Breathing Room differs from most studios in that each teacher creates their own style of class, so there are at least two dozen different types of classes offered. Some are self-explanatory or standard yoga styles, such as power yoga, gentle yoga, yin, and Kundalini. Others are more creative, with names like Autumn Harvest Yoga, Morning Liftoff, and Turn It Up & Tune Out; so just be sure to read the description before you sign up. One popular class I haven’t tried is Primal Practice, described as “yoga done differently.” The Breathing Room also has meditation classes in a variety of styles, which range from sitting in a chair to lying on a mat under blankets and an eye pillow. New to yoga? Try Yoga for Beginners. Prices: New students – $25 for 1 week. Drop-in – $10 or $15 (depending on class). 5-pack – $50. Monthly unlimited – $119. Discount classes: $5. Getting there: Take the Red line to the Harvard or Central stop. And if you’re in Central Square, don’t miss the amazing vegetarian food next door at Life Alive! I discovered Acorn when we lived in Brighton, and it’s a little bit out of the way. But there’s one big reason I’m including it here: the Glow Yoga Fusion class. Traditional yoga it is not. It’s a mix of yoga, cardio, core work, and dance, practiced with the help of black lights, body paint, glow sticks, and loud music. The class is only taught on weekend nights, and the folks at Acorn started Glow Yoga because they wanted to give people a healthy alternative to late nights of alcohol and greasy food. Even a strict yogi can get behind that! The studio also has a Yoga Sculpt class that combines yoga, cardio, and free weights, as well as flow classes of various intensities and restorative yoga. New to yoga? Try Heal Flow. Prices: New students – $22 for 2 weeks. Drop-in – $20. 10-pack – $149. 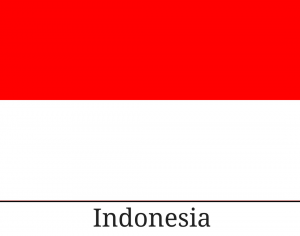 Monthly unlimited – $89. Getting there: Take the 57 bus to the Montfern Ave. stop, or the 86 bus to the Chestnut Hill Ave. stop. The Corner Studio is also a bit out of the way, but it was the first place I practiced yoga in Boston, back when I was a graduate student at Tufts. I actually started attending classes at The Corner Studio just a couple weeks after it opened! I’m including it here not only because it holds a special place in my heart, but also because it’s one of the most intimate studios I’ve visited in Boston, with small class sizes and half the classes taught by the owner. The Corner Studio has multiple levels and types of flow classes, some of which end with meditation or deep relaxation practices, as well as yin and restorative yoga. The studio also hosts occasional workshops on topics like AcroYoga and partner yoga. New to yoga? Try Yoga Basics. Prices: New students – $25 for 2 weeks. Drop-in – $15. 10-pack – $120. Monthly unlimited – $99. Discount classes – $5. Getting there: Take the 96 bus to the Main St. stop, or the 101 bus to the Harvard St. stop. Swet Studio is more of a fitness studio than a yoga studio, and the classes are super pricey. But, I’m including it here because it’s one of just a couple places in Boston that has aerial yoga, which they call AntiGravity (AG). Aerial yoga is always more expensive, which I suppose explains the high price tag. First-time students are encouraged to start with one of the introductory AG classes, which focus on getting comfortable in the hammock, before attending AG Yoga. There’s also an uber-relaxing AG Meditation class, and several non-yoga conditioning classes that are done in the hammocks. All classes are capped at 15 people. Flips and tricks on a Friday morning. New to yoga? Try AG First-Time Riders. Prices: New students – $30 for 3 classes. Drop-in – $30. 12-pack – $276. Getting there: Take the Green line (B, C, D, or E) to the Arlington stop, or the Orange line to the Back Bay stop. Though I haven’t been to South Boston Yoga, I’ve taken (and loved) classes with a few of the studio’s instructors. In addition to a steady stream of all-levels flow, the studio offers more intense options like hot power yoga and level 2/3 classes and calmer ones like yin yoga, therapeutic yoga, and a foam rolling-based class called Roll, Realign & Relax. There are also frequent workshops, including a monthly one for teachers and advanced students. New to yoga? Try Blissful Body Yoga. Prices: New students – $5 for 1 class and $25 for 2 weeks. Drop-in – $16. 10-pack – $140. Monthly unlimited – $130. Discount classes – $10. Getting there: Take the Red line to the Broadway stop. Once again, I haven’t been to this studio, but I’ve enjoyed classes that some of the instructors have taught elsewhere. The schedule includes plenty of options for all-levels Vinyasa flow, as well as classes in structural yoga and Ananda yoga, which combines yin and restorative principles. North End Yoga is also home to Boston Ashtanga Shala, which offers Mysore-style practice every day at 5:45am. New to yoga? Try Vinyasa Basics. Prices: New students – $45 for 30 days. Drop-in – $16. 10-pack – $145. Monthly unlimited – $145. Getting there: Take the Orange line to the Haymarket stop, or the Blue line or Green line (C, D, or E) to the Government Center stop. 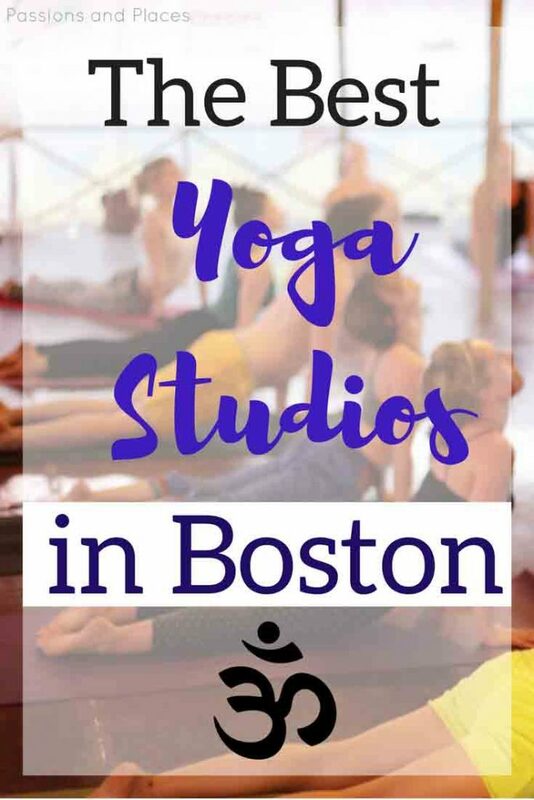 While I highly recommend trying one of these local studios, if you’re a devotee of a particular yoga chain, Boston might have what you’re looking for. YogaWorks has locations in Allston (Comm. Ave., previously Sweat & Soul) and Back Bay (previously Back Bay Yoga), and a new one is set to open in Chestnut Hill. Corepower Yoga has five studios in the Boston area: Allston (Comm. Ave.), Cambridge (Fresh Pond), Medford, Newton, and the South End. Finally, there are also Baptiste Yoga studios in Brookline and Cambridge (Porter Square), and Bikram studios in Back Bay and Cambridge (Harvard Square). Have you tried any yoga studios in Boston? What’s your favorite? Pin images by Anne Wu and The Yoga People. Awesome! Pinning this for later. I am from Boston and have never done yoga, but I want to try!! Great compilation! It’s so important to share the knowledge about good studios – will bookmark this for the future! Yoga is so good for you and good for your body- definitely need to get round to doing more- especially for stress levels! I can’t believe I’ve still not visited Boston- Acorn Yoga looks just awesome! Cool, unique post! I haven’t done yoga in a few years, sadly, but this post alone gives me the push I need to get back into it. I have not tried Yoga, I need to, get stressed too easy! Also Boston is on my bucket list..thanks for sharing this! Great post! Thanks! Yoga is definitely great for stress, at least it has been for me! I’ve never been to Boston, but it’s on my list! Thanks for all these tips. This post is very helpful. I desperately want to learn Yoga and it is great there are so many opportunities in Boston! Great post and love those pics! Thank you! Give it a try if you have the chance 🙂 I think people who are new to yoga can feel intimidated a lot, but almost all studios do have classes that are great for beginners! I can barely touch my toes let alone do actual yoga but found it really interesting to read about the different studios! I would have never guessed there were so many studios in one city. Such a great article! Wish I had known about this a few months ago when I was in Boston. Definitely bookmarking this for the next trip! This is great! I just recently got into yoga, but since we’re currently travelling I have been relying mostly on YouTube videos. You’ve inspired me to find a studio once we get back home. Although I don’t live in Boston (one of the coolest cities, in my opinion) my best friend does. I have to send this to her and see if she’s been to any of these studios! Thank you! Glad you like Boston 🙂 I use YouTube videos a lot while I’m traveling too, especially Yoga By Candace and Sarah Beth Yoga, in case you’re looking for any new channels to check out!